Are you tired of looking tired? Eye bags and dark circles under the eyes keep you from looking like your energetic, younger self. Men and women of all ages can suffer from bags under the eyes that create a perpetual tired, older appearance. Give your eyes a wake up with effective eye & brow treatments for under eye bags at the office of Dr. Maurice Khosh in Manhattan. We can help eliminate those dark circles and bags for a refreshed, youthful look. Bags under the eyes appear for many reasons. Age is a factor, but even people in their twenties can have eye bags or circles due to genetics or lifestyle. Aging can change the composition of the fat under the skin, making a sunken spot under the eye or a bulge of fat that creates a “bag” above the cheekbone. For younger people, genetics are at play, creating a tired appearance even when they are well rested and healthy. 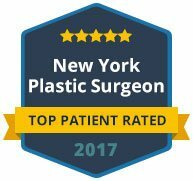 The good news is that there are surgical and non-surgical treatments available through Dr. Khosh that can make you look more alert, youthful and refreshed. The area under the eye is a delicate region. This skin is thin and even a small amount of change in the elasticity or composition can create dark circles or bags under the eye. This can happen when you are tired, dehydrated or sick, but when your eyes look this way every day, it needs a cosmetic solution. One option to eliminate dark circles under your eyes is injectable fillers or other non-invasive treatments. Fillers can plump the area below the eye to get rid of dark circles. If there are other aging issues, a liquid face lift could be recommended an effective treatment for eye bags, circles, wrinkles and other facial issues. Another treatment option is blepharoplasty for the lower eyelid. This is a permanent solution that can reposition or remove fat pockets under the skin that create eye bags. The incision is usually placed inside the eyelid so there is no visible scar. 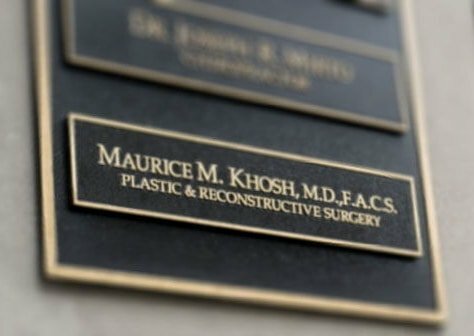 Dr. Khosh is a dual-board certified facial plastic surgeon, specializing in delicate procedures like blepharoplasty that require extreme precision and expertise. 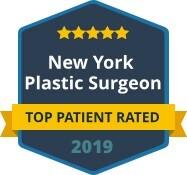 If you are looking for treatment options for dark circles or eye bags, contact our office today to schedule your appointment at our Manhattan office in New York.